The company responsible for a metal door that badly injured actor Harrison Ford on a Pinewood Studios film set has been fined £1.6 million. Ford was struck by a metal door during the production of a Star Wars film. Foodles Production (UK) Ltd, owned by Disney, had pleaded guilty earlier this year to two charges brought by the Health and Safety Executive (HSE). The sentence comes just days after a company was fined £500,000 after a man was killed by a steel gate in Wales. The DHF (Door & Hardware Federation) is the industry body representing the metal door and powered gate sectors. It is campaigning for higher standards of safety for doors, automated gates and barriers and is warning that courts are dealing with accidents caused by faulty doors and gates with ever-increasing severity. “The size of these latest fines demonstrates that the courts will show no leniency to companies who put human life at risk by having faulty doors and gates. We believe this latest fine is the highest ever to be levied in the industry. 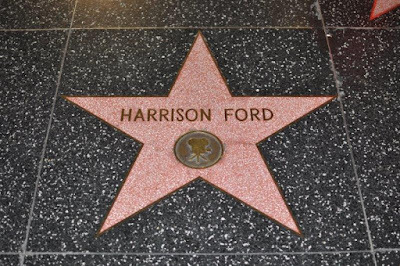 In the Harrison Ford case the judge said the most serious breach was that the production company had carried out a risk assessment on the door, but failed to tell the actor about the dangers. He said the greatest failing of all on behalf of the company was a lack of communication. The DHF’s in-depth safety diploma training scheme covers all aspects of industrial door and powered gate safety training. The preparation of risk assessments - and protocols for sharing the assessments with owners and users - form a key part of the DHF training course. To date, almost 1,000 personnel from the industrial door and powered gate sectors have successfully completed their DHF safety diploma training. Installers, owners and maintainers of industrial doors and powered gates should visit www.dhfonline.org.uk for more information about safety and for guidance on relevant health & safety legislation. The website also has details of future dates and availability of the DHF’s training courses.